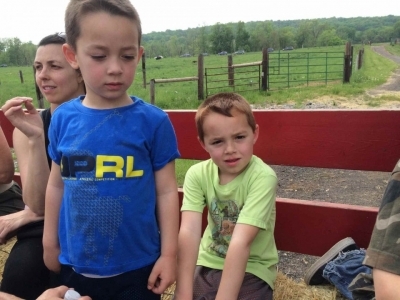 Mark your calendars, the 2019 Buffalo Watch at Readington River Farm fundraiser event has been scheduled for Saturday June 1st, from 9am-5pm. Come experience a piece of Americana! Rain date will be June 8th. 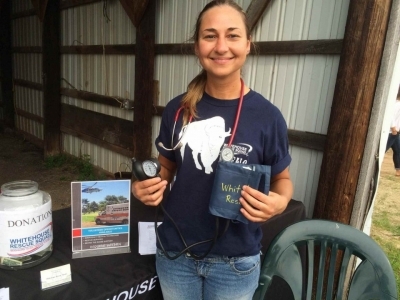 Proceeds from this event directly benefit the Whitehouse Rescue Squad, a non profit organization dedicated to providing top notch emergency medical and rescue services to our community. A $5.00 parking donation per car gets you in to this event! 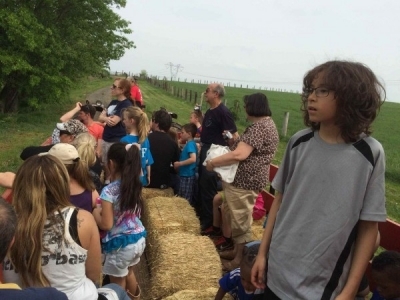 This event is on an actual preserved, working buffalo farm. Welcome antiquers, enthusiasts, collectors, weekenders, modelers, memorabilia and artifact hunters. This year, we are adding a feature for the adults, the "Red River Saloon". 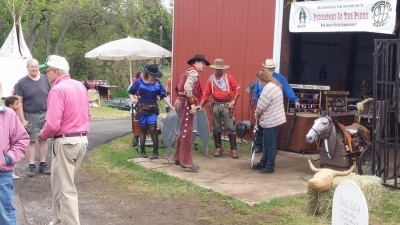 We are are recreating a vintage Wild West saloon in a barn where you can enjoy a glass of beer from a local brewery or a glass of wine. AN AFFORDABLE DAY FOR THE ENTIRE FAMILY! Please click on the following vendor applications, follow the instructions on the form. Please print the form and mail your donation check with the form to us. We expect 10,000 attendees at this one day family event. We are adding additional vendors, food trucks and 2 live bands this year! Don't miss out on this family fun event to showcase/sell your products. Our low vendor fees directly benefits the rescue squad. Check out our new corporate sponsorship opportunities! 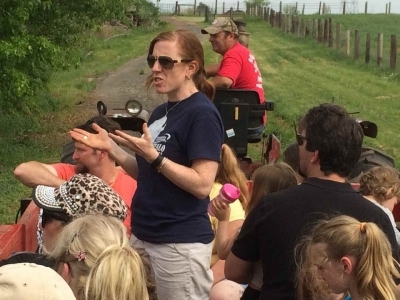 In addition to giving wagon tours of the 200-plus acre farm and allowing people to get a close-up and personal view of bison and their newborn calves, the day will also feature an antiques show and craft fair with more than 100 tables. American Indian crafts will also be available for sale. 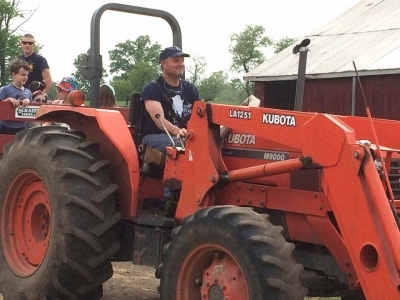 The farm’s butcher shop, which has items such as buffalo steaks, buffalo burgers and buffalo ravioli, will be open. There will be Historical military units on site. There will be plenty of food and the squad will also be giving free blood pressure screenings. 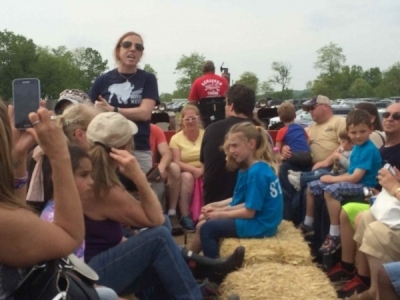 Pony rides and face painting will be available for children. Guests are advised to wear sturdy shoes and to bring binoculars. 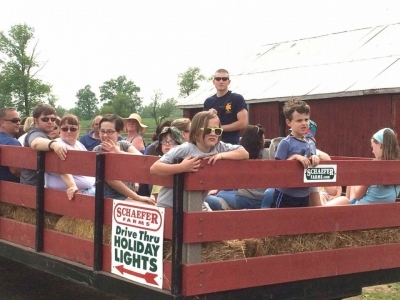 The Hay Day at Readington River Buffalo Farm will be held rain or shine. Parking is $5 per vehicle. 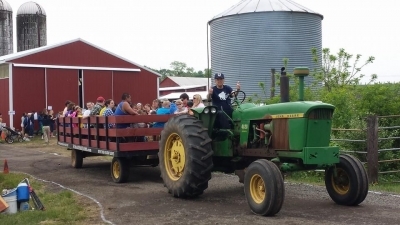 Since this is a working farm with many animals, please do not bring your pets, Service Animals only are permitted. Thank you for your understanding!